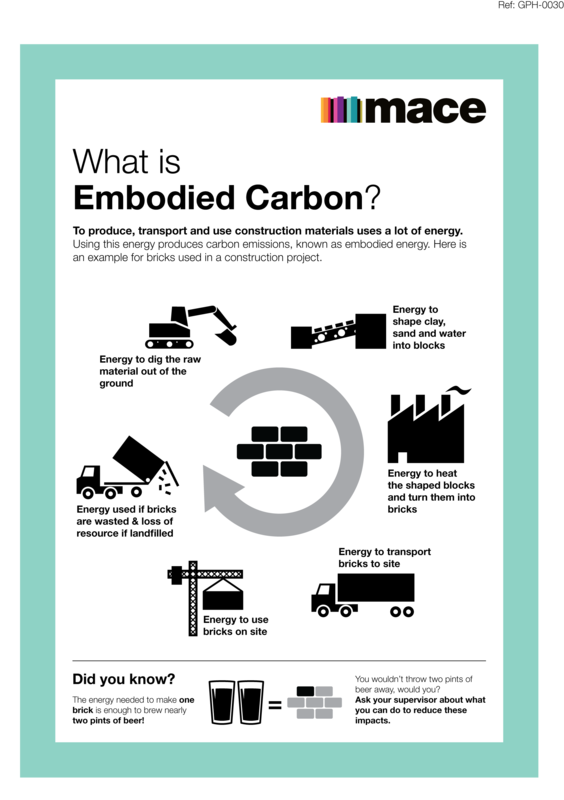 To help site personnel understand what is meant by embodied carbon, Mace created an embodied carbon poster, relating the impact of making one brick to the impact of making a pint of beer. By translating an impact into a language people can understand it helps communicate what can be a somewhat abstract concept. Since many people working on site like to drink beer, so who would throw that away? This is used as a poster on Mace sites and as part of our training.